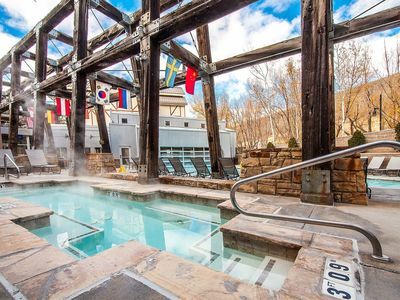 This 2 Bedroom-2 Bathroom condo is perfect for your upcoming Park City stay! 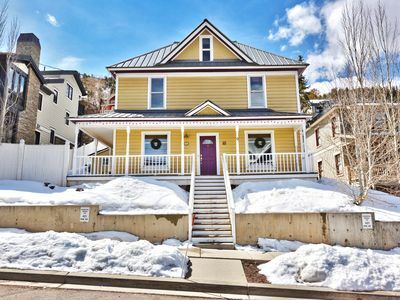 With sleeping room for 6 and almost 1000 square feet, it's located conveniently on Park Ave. With the Park City Mountain Resort only a couple of blocks away and a Free Shuttle stop just steps from the front door, traveling to Main Street or other resorts and shopping areas is easy and effortless. Get out and Play! 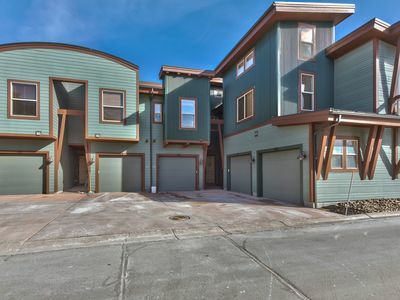 Across the street from the condo you'll find City Park, full of large open spaces to enjoy! 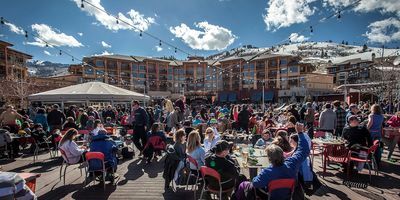 The South End can be reserved (Parks Reservations) for family or business gatherings. It includes a pavilion with Picnic Benches, a huge charcoal BBQ and griddle, and plenty of room for relaxation. The entire park offers open lawn space, a softball diamond, sand volleyball, tennis, basketball, a playground and a state-of-the-art Skateboard Park. 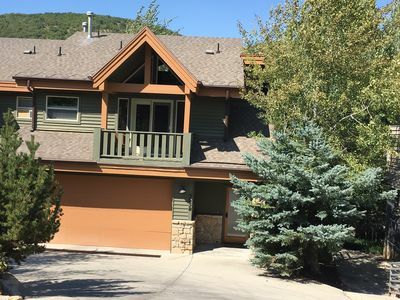 This home is all one level and on the first floor of the Ski Team building. 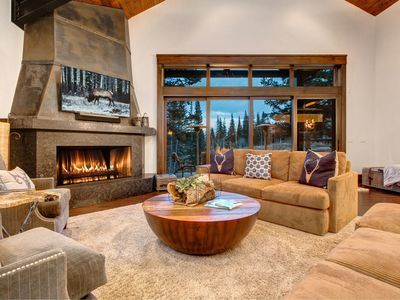 The living room is warm and welcoming with plenty of seating, a wood-burning fireplace, flat screen TV, and large windows that provide lots of light. 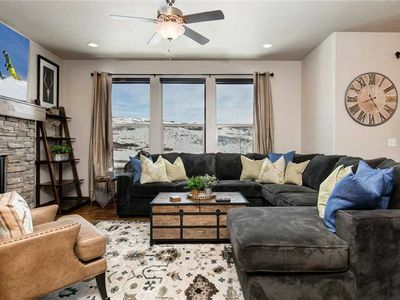 The sofa folds out into a Queen-sleeper. 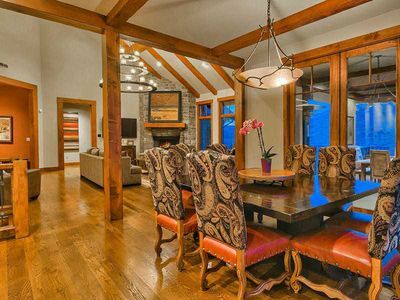 The dining area has a table with seating for six and an additional three can fit at the bar/counter top. 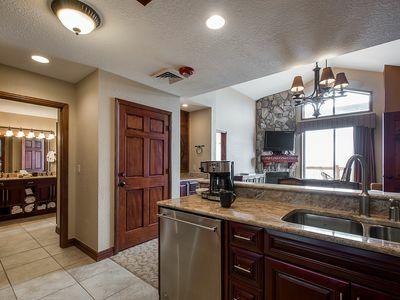 The fully-equipped kitchen has everything you'll need to eat in. 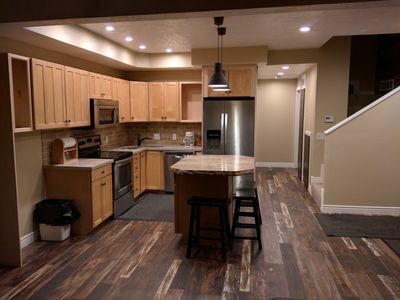 Large counter tops have lots of space for cooking and baking. There's a blender, coffee pot, kettle, pots/pans, baking sheets, utensils, glassware, dishware, and toaster. 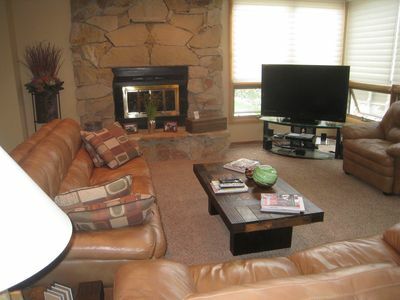 The Master bedroom has a Queen-size bed, en suite bathroom, comfortable bedding, and a flat screen TV. The bathroom has a shower/soaking tub combination. 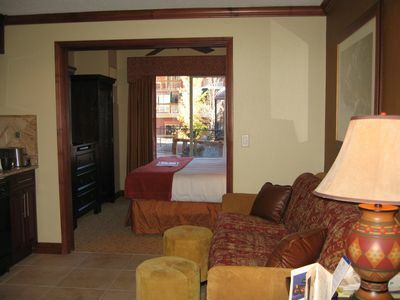 The Guest bedroom has two Twin beds and a separate bathroom with a steam shower. 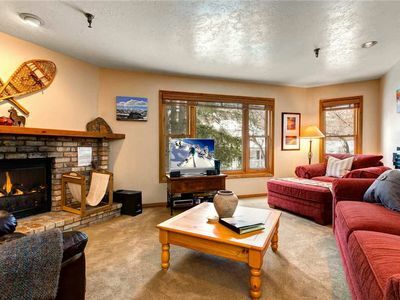 Free Wifi and Comcast cable are available in the home. There's a small laundry room with a stackable washer and dryer for convenient use. There’s also a humidifier, window air conditioning and board games/cards. The underground parking garage has one reserved spot and access to first-come first-served guest spots. 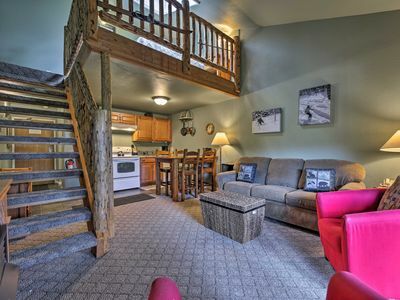 If you're looking for a convenient, great location for a vacation any time of year, this condo is it! We'd love to host your stay. Book with us today! 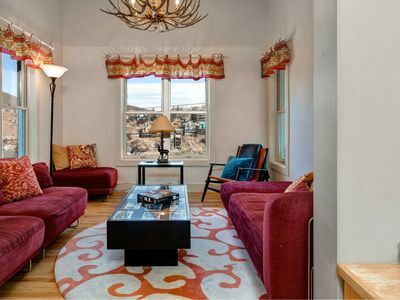 Note: Amenities listed may be private to the home, part of the neighborhood or available in the Park City area. Minimum stay is required. 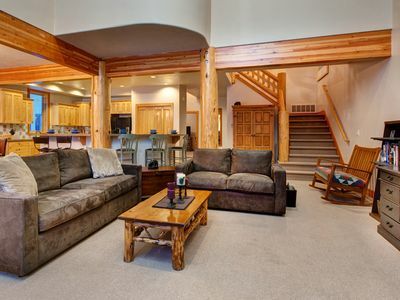 The number of nights is based on the property and calendar availability and may have flexibility. Please ask us if clarification is necessary prior to requesting a reservation. 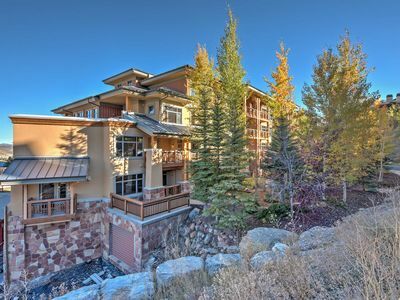 1 Br Luxury Penthouse Suite Steps From Canyons Gondola Sleeps 4 Mountain Views!! 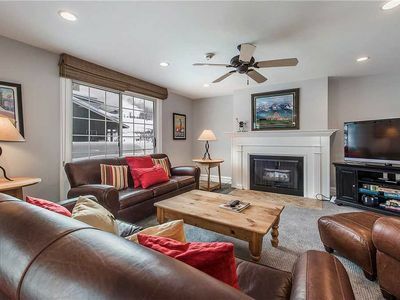 Sleepy Street But Close To All The Action.Perfect for your whole family.Perfect! 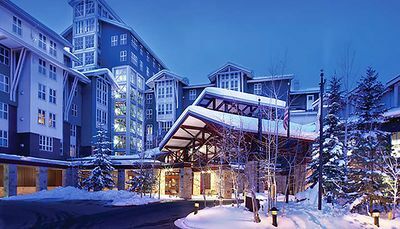 Spend New Years Eve at the Canyons! 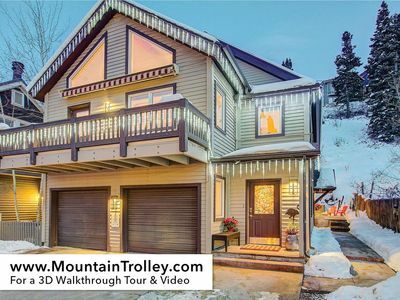 Abode Off Snowonder | Luxury 6 Bed Ski In/Ski Out Retreat!